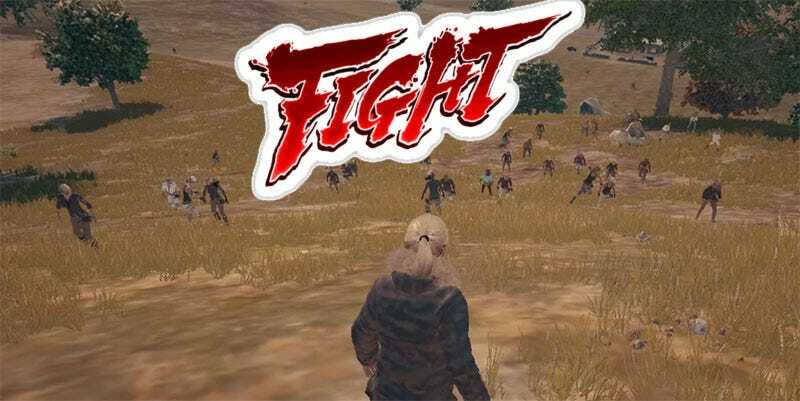 Josh Wittmann was playing a game of PlayerUnknown’s Battlegrounds the other day when server lag struck, stranding all 100 players on the plane before they were forcibly ejected, landing everyone at the same location. While some folks fled for their lives, the rest did the honourable thing and just started swinging. I would 100% be down for a Battlegrounds map that was just a steel cage full of chairs and ladders.